Scientists from Russia and China will cooperate in the exploration of marine life and mineral resources in the deep sea, particularly in the Arctic region, Andrei Adrianov, vice-president of the Russian Academy of Sciences, said at a news conference on Wednesday. "China and Russia both attach great importance to deep-water research," he said, adding that Chinese scientists will join Russia's Arctic expedition team this year. The Arctic has some unique seas near Russia with rich biological resources, and researchers from the two countries will target some deep-sea species such as krill and other deep-water fish in their studies, he said. However, Adrianov said, scientists will first need to figure out the specific area that can be influenced by human activity and which should be protected. Adrianov, together with the academy's president, Alexander Sergeev, recently paid a visit to subsidiaries of the Chinese Academy of Sciences and attended a symposium last week on deep-sea exploration of the world oceans at the Institute of Deep-sea Science and Engineering in Sanya, Hainan province. Both sides shared their recent findings in marine biological and geological studies and exchanged their experiences and new technologies used in marine research. 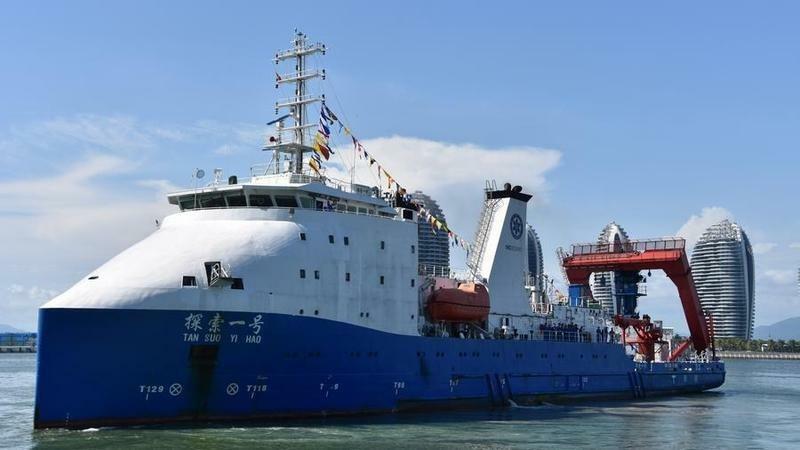 China has made several dives into the Mariana Trench in the western Pacific Ocean and plans to invite Russian researchers to go along to probe marine life, geological features and minerals. Russian researchers also plan to host their Chinese counterparts in further exploration of the deep-sea volcanoes they have discovered, Adrianov said.